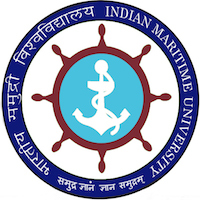 Online Application Details for Indian Maritime University IMU Recruitment of 2 Senior Technician and 3 Fire Fighting Instructor is given below. Candidate's minimum education qualification for the Vacancies in Indian Maritime University IMU should be Graduate Degree in Library and Information Science. Petty Officer in Seaman Branch / Engineering branch / Physical Training branch from Indian Navy / Coast Guard. Application form and duly attested documents are to be sent to The Registrar, Indian Maritime University, East Coast Road, Uthandi, Chennai-600 119. In envelope super scribed with'Application for the Post of Post Name'.